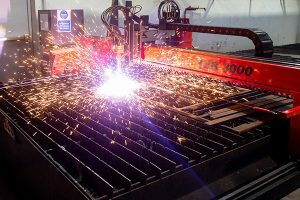 As an internationally operating supplier to the automotive industry, Neapco is receiving an increasing number of enquiries for electric vehicle components. A current electric vehicle project the company is undertaking is a drive shaft, which has been supported with cutting tools from Mapal. 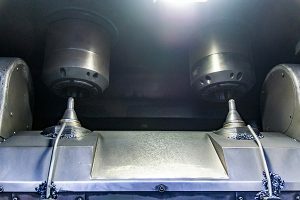 Located in Düren in the North Rhine-Westphalia area in Germany, the company relies on Mapal ball-nose milling cutters for hard machining the outer face of the constant velocity joint of drive shafts. Production of the latest line of drive shafts started at the beginning of 2018, and the volume will be as high as 35,000 units in 2019. “We use the ball nose milling cutters from Mapal to machine the ball raceways of what is known as the bell or axle spindle, for which strict tolerances are specified,” says Ahmet Simsek, who is in charge of tool management at the Neapco plant in Düren. It is important that this drive shaft joint transmits the torque with as little influence on the steering as possible, even in the case of large working angles on the drive gears of front-wheel drive vehicles. This is why all requirements regarding quality, dimensions and surface qualities must be observed in a process-consistent manner. For example, the contact angle must be within a tolerance of ±5°. Machining of the forged axle spindles on an EMAG VSC 250 Twin machining centre is assisted by the tool, which has four soldered PcBN blades to remove between 0.2 and 0.4 mm of material. The tool is connected to the tool holder via Mapal’s own HFS connection (Head Fitting System). Seco’s new Double Quattromill 14 cutter allows manufacturers with lower horsepower machines to maximise their face-milling operations. Double Quattromill 14 uses double-sided inserts with eight cutting edges for cost effectiveness and increased depths of cut in roughing, semi-finishing and finishing operations. Double Quattromill 14 has been designed as a smaller version of the company’s Double Quattromill 22, which is suitable for large machines with higher horsepower and torque capabilities. 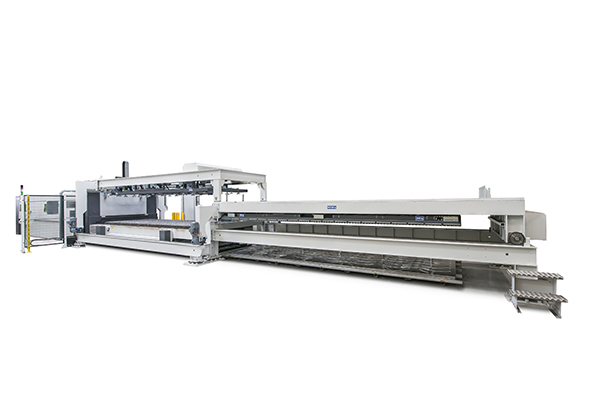 Seco’s Double Quattromill 14 comes in 45° and 68° lead-angle versions for depths of cut up to 6 and 8 mm respectively. With the 45° angle version, which aids set ups using weak or unstable fixturing, better chip thinning and higher feed rates are provided. The 68° angle cutter reaches high depths of cut with the same size inscribed circle on the insert as the 45° angle tool, but with better clearance to avoid sidewalls or part fixturing. Different to inserts on standard tangential-type face mills, the Double Quattromill 14 offers lower cutting forces. This factor extends tool life and decreases machine power consumption, reducing strain on the machine. The Double Quattromill 14 cutter bodies come in fixed-pocket and cassette styles, with standard or close pitch (in metric or inch versions). 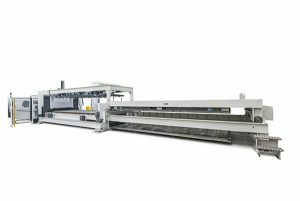 Seco has also applied its latest surface texture technology to the flute surfaces of the cutter body, a feature that helps improve chip control and evacuation, as well as durability. 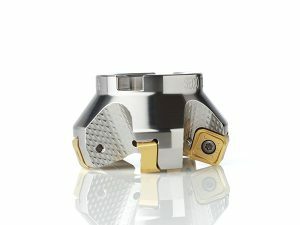 Double Quattromill 14 cutters can be accompanied by three insert ranges with various edges and grade options. 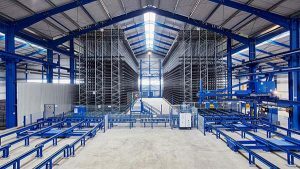 Kasto, the German manufacturer of computer controlled, multi-level systems for automatically storing and retrieving material in stockholding operations and factories, has introduced a new service whereby it will produce parts of its Unicompact system at customer premises. The only prerequisites are sufficient space, a crane and a 400 V, three-phase electricity supply. On-site production is available in the UK and Ireland through Kasto’s subsidiary in Milton Keynes. The option is economically viable for medium- to large-capacity storage systems.